A Trekk duffle bag that features your custom branding. 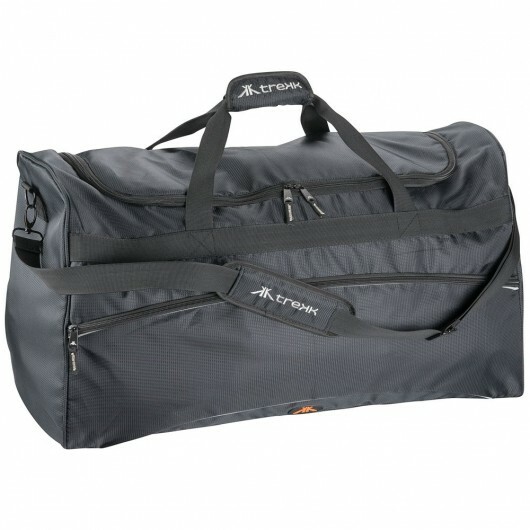 Trekk have outdone themselves with these large capacity duffle bags. They're made with premium dobby material and are branded with Trekk zip pullers and branding. 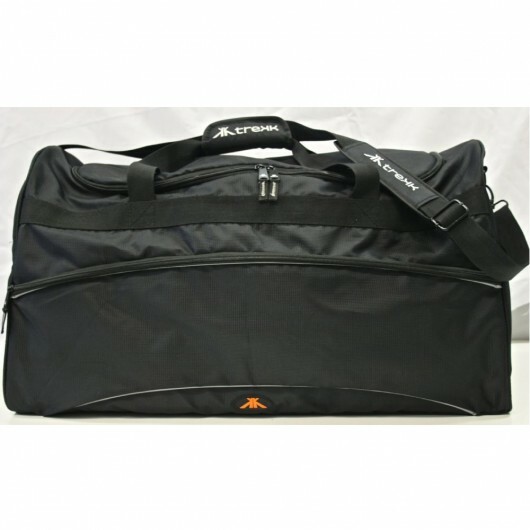 The bags house a large single internal compartment and a zippered front pocket that also contains an organiser. A great option for sporting teams or those who frequently travel! Embroidery: Centred on front pocket: 90mm Dia, top flap: 150mm Dia.